The success of your business relies on two things. The first is cash flow, and the second is bookkeeping. It makes little sense to not understand your financials while you try to grow and expand your business. This is similar to trying to win a race without knowing the location of the finish line. As a business owner, you need to keep clean records of your financials so that you can make informed decisions for the future of your business. If your books are a mess, you need bookkeeping services. But how do you hire the best bookkeeper in Maryland to manage your books? In this post, I’m going to share the most important traits to look for in your next bookkeeper. Your bookkeeper will be managing and recording your financials. You want someone obsessed with the details of your financials. This means they will catch everything, and nothing will fall through the cracks. Every line item matters in the bookkeeper’s eyes because it directly affects cash flow. You want a bookkeeper with a forensic approach to your books. A bookkeeper who understands your industry is going to be much more valuable to you and your financials. Sufficient knowledge and experience lends itself to more lucrative financial decisions. When your bookkeeper knows the industry and they are managing your books, they can offer advice and suggest potential options for the future of your business. Does the bookkeeper you want to hire understand your business? They need to understand what your expenses are, who you bill, and how you operate, at the very least, to better serve you while managing your books. Your bookkeeper should know your business inside and out. Not all bookkeepers use the same accounting software, but a large majority of accounting software is used by bookkeepers. You want to make sure the bookkeeping professional you decide to hire, either uses your software or knows how to use it. Costly errors and mistakes due to software inadequacy can cost your business thousands. Financials are more than numbers on a spreadsheet. They tell the story of your business, and your bookkeeper needs to be able to understand that story. The success of a business relies heavily on a bookkeeper’s ability to bring current, manage, and report effectively on the company’s financials. Financials are one factor to consider when making business decisions. When a business needs to make an important decision, they lean on the bookkeeper to offer financial options based on their working knowledge of the company’s financials. Many times, this involves problem-solving to find the best answer possible. 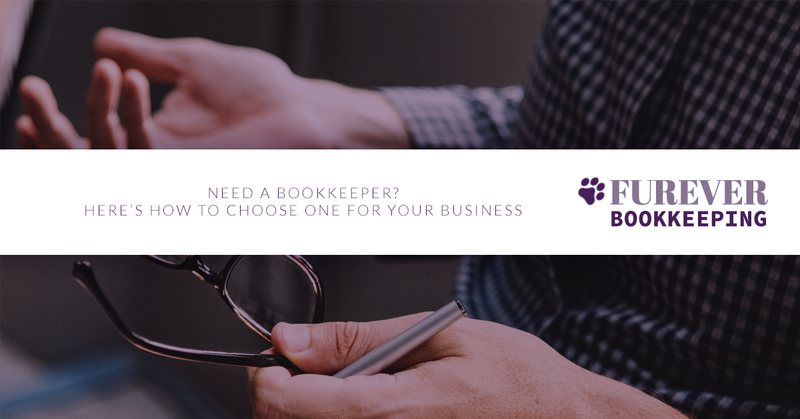 As the principal master bookkeeper at Furever Bookkeeping, I’ve spent the last 15 years working with companies that have books that range from $200K up to and beyond $32M. If your books are a mess, and you’re losing money due to your books, give me a call now. I provide forensic, comprehensive bookkeeping services to business in all industries. No longer do you need to take care of the books yourself. I work remotely, part time, full time, or locally. Let me rescue your books, today!